Time's Up Conference & Concert 2006 organized by Youth Alive Malaysia, held at GTPJ on the 3rd of June 2006. Evening concert featuring Oops! 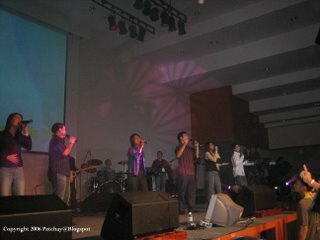 Asia artistes such as Juwita Suwito and Liang. 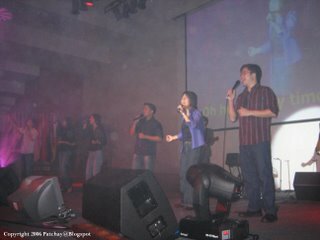 For more info about Youth Alive Malaysia, visit YA website. For more pics, visit: http://patchay.multiply.com/photos/album/46. Wooo...Hurray...Yahhooo....exams finished! For sure I rejoiced. But what I'm gonna do during the holidays? World Cup? Eat + Sleep? The biggest event for me, at least until half of this year happens this weekend. One of Taiwan's top male singer will be performing at the annual Amway Malaysia's National Convention. 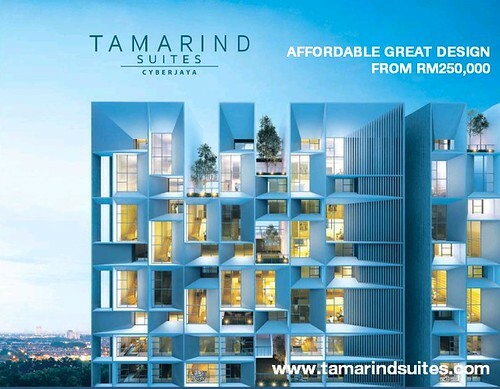 Coincidentally, the company is also celebrating its 30th anniversary of operations in Malaysia. A very huge crowd is expected, approximately 50,000 to 60,000 people from all over the region will participate in the 5-hour event. The event will also include performances by other celebrities, fireworks display and many more exciting ones. That's all for now...I'll post again soon. Patchay@Blogspot is currently under refurbishment. We apologize for any inconvenience caused. Thank you for you patience and do come back again to see new changes. It has been some time since I last blogged. The reason to this is that I'll be having my semester final exams very soon...my first paper starts next Thursday. As for today, June 3, a bright sunny Saturday here at Kuala Lumpur, rain is expected to fall any time this evening. Come to think of it, the rain might just cooled up the atmosphere as the day is getting hotter and hotter. The future Disneyland will be here? The so-called "Biggest and Hottest" motorshow in South-east Asia is still ongoing at the moment. But today is the last day to visit the one week long Kuala Lumpur International Motorshow 2006, held at Putra World Trade Centre. Be sure to be there, if you've the chance! Later this evening, I'll be attending the "Time's Up Concert", organised by Youth Alive Malaysia, held at my church, Glad Tidings Petaling Jaya. Oops! Asia celebs such as Juwita Suwito (ex-Malaysian Idol vocal coach) and Liang are expected to be on stage to entertain hundreds, or perhaps thousands of youths later tonight. Still, my worries for now - only about 4 more days to my exams!!! Have I done sufficient preparations for them? 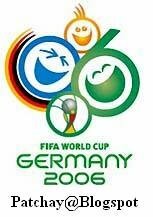 Coincidentally, it is 5 more days to the FIFA World Cup Germany 2006. To vote for your favourite player or team, watch out for Patchay@Blogspot World Cup Opinion Polls, coming soon at the right panel of this site! That's all for now. I'll try to post more frequent after my exams...which ends on the 13th of June. Before I forget, Patchay@Blogspot will introduce 5 new interesting sections at the right panel of this site, or Sidebar. Also, the site has been approved and gained admissions into numerous world blogging sites and rankings; details will be up soon. In the next few months, there may be some alterations to the blog layout (as people get bored with the current one...hahaha)...and perhaps (new) Friends will be invited to join me to post their thoughts here. Till then, do come back to see what's new. Have a nice and productive day ahead!